Chrysodomus phoeniceus, from Oldroyd (1927). 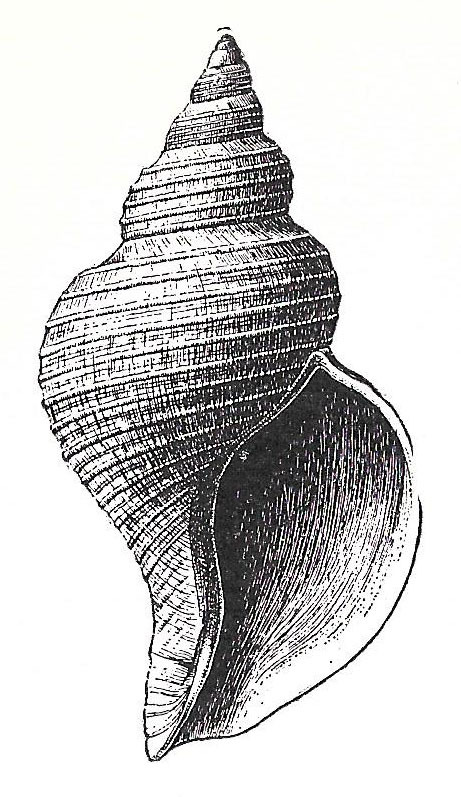 Chrysodomus is a genus of whelks found in the northern Atlantic and Pacific Oceans (Oldroyd 1927). Characters (from Oldroyd 1927): Shell large, short-fusiform, smooth or spirally sculptured, sometimes with rude axial ribbing or nodosities or varix-like sharp laminae; outer coat of shell subtranslucent, inner layer with darker, usually purplish tint, periostracum inconspicuous and dehiscent; last whorl longer than spire, with wide aperture, outer lip in adult flaring or subreflected, not thickened; pillar flexuous, smooth; labrum without callosities or lirae; inner side of outer lip without liration; canal rather long, wide, open, flexuous.